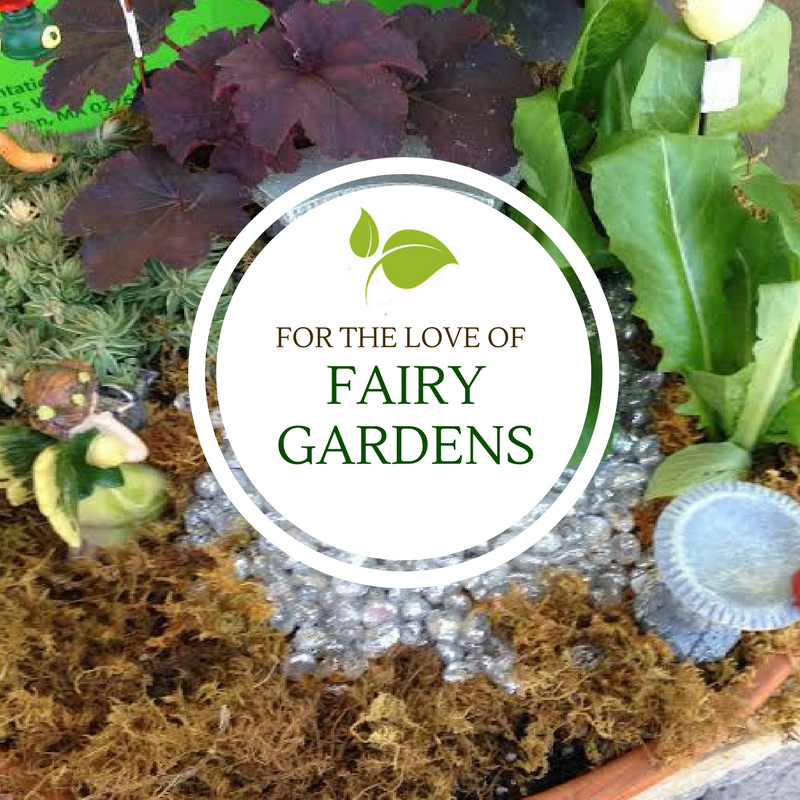 We all crave a little make believe in our lives and there’s no better way than to create a fairy garden. Starting with just a large container you can create a magical miniature garden that will enchant your family for years. 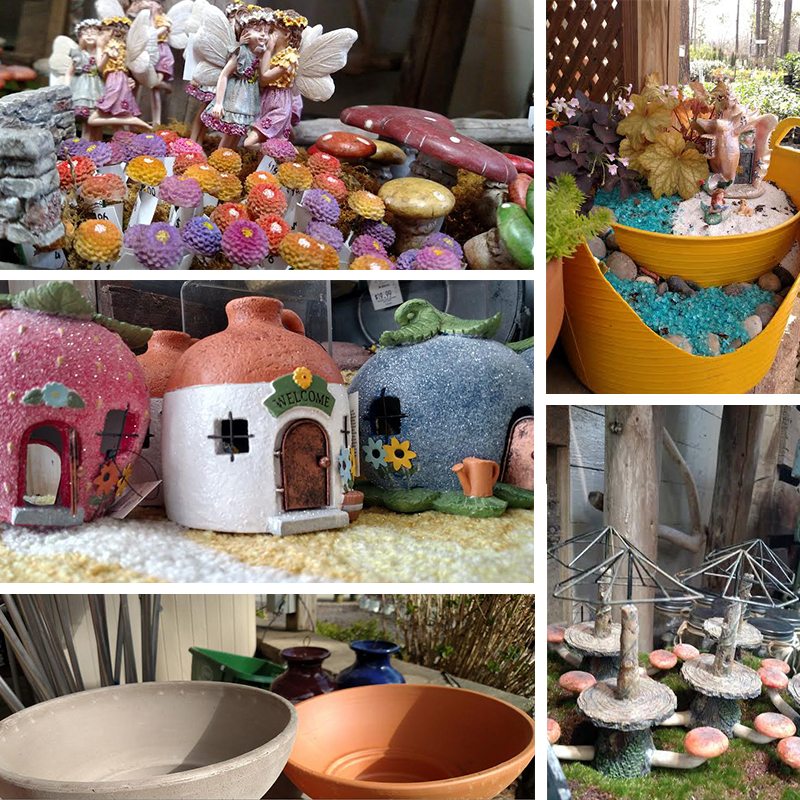 The possibility is endless as you create this make-believe garden. It’s where a twig could become a tree, leaves turn into furniture and your little people become whatever your imagination will allow. 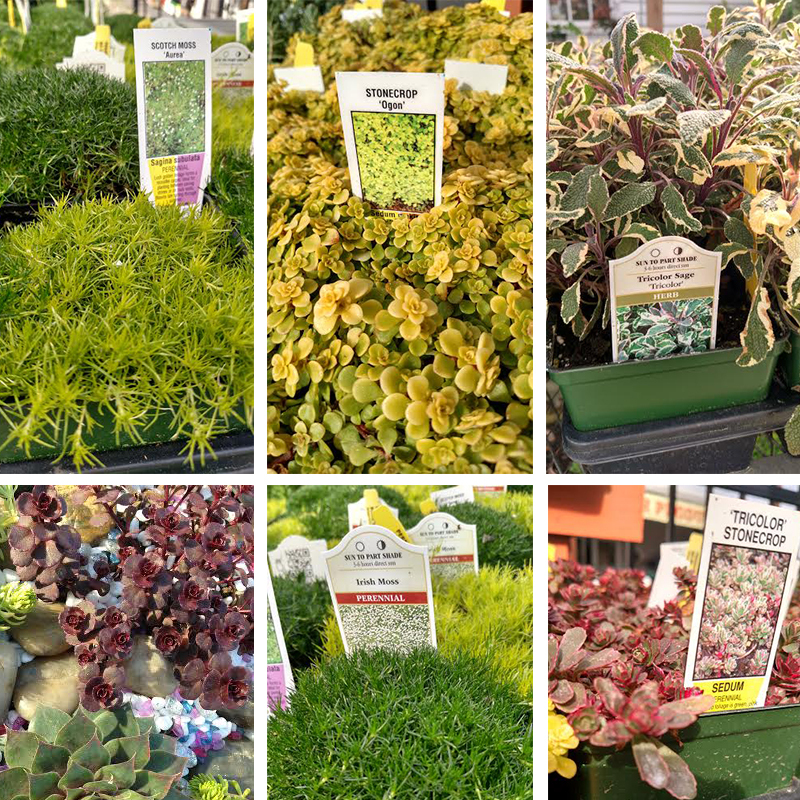 This beautiful new trend in small container gardening has come alive at Wingard’s Market. What makes this type of gardening so unique is that there are no rules. It’s a journey that you create through your own creativity. Let the joy of building a miniature fairy woodland come to life no matter what your age. Choose a container – This is the perfect place to let your imagination run wild. The container you pick can be a traditional pot large enough to house your design, or you can take a trip to your local flea market and get creative. An old porcelain sink or bathtub, old roasting pans, a wheelbarrow, old galvanized buckets or anything else you can add drainage holes to the bottom is perfect. Plan your design – If you feel overwhelmed with too many choices start by picking a theme. This will help your imagination narrow down what you want your garden to be. Once you have your theme in place, have fun picking accessories to match. Here are a few ideas to bring your garden to life. Add the forest – When adding plants keep in mind what grows best in your area and climate. Choose plants with varying heights, shapes and colors to highlight your accessories. Use edibles such as herbs and vegetable if you want to make your garden both beautiful and useful. Choose plants that don’t get over 12 inches tall or plan to change them out throughout the growing season. Remember you don’t want to overcrowd your pot so leave plenty of room for your plants to grow. Play around with the placement of your plants while they’re still in their pots. Add some of your bigger accessories to get a feel for size and scale before you plant. Just so you know, …it’s addictive! It’s a magical garden that captures the interest of even the newest gardener and is a perfect gardening hobby.